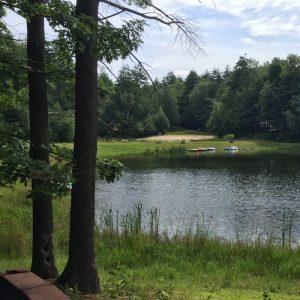 Oxbow Campground, located in tranquil Deering, New Hampshire, has been providing great camping since 1972. 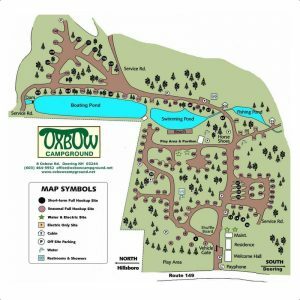 Oxbow is owned and operated by Tom & Mary Irving and their children, Kayla & Thomas. They welcome you to come and enjoy the camping experience you deserve. Every effort is made to ensure that your stay is peaceful and enjoyable. Our sites are designed to provide maximum practical space and privacy. Experienced travelers frequently compliment the design, quality and convenience of Oxbow’s sites and hookups. Give us a call to request a site. Find Out About Gas Saver Weekends! 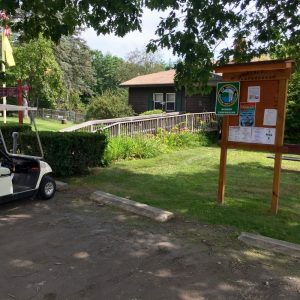 From our fishing and boating pond, our swimming pond, and rec room, to available cable and phone connections, modern restrooms, and laundromat, we have what you need to make your stay enjoyable! We have activities on site and there is plenty to see or do in the surrounding area. Check our our Activities and Events page for all the info! We have all kinds of site options so you can find exactly what you are looking for! We have Electric only, Electric & Water, Full Hookup sites, and Cabins! Most are available for daily, weekly, or monthly reservation. We have seasonal options too! 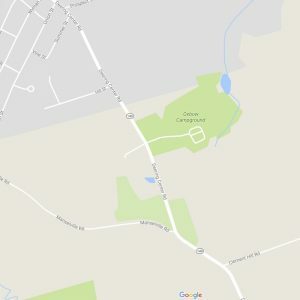 We are easy to find – about halfway between Concord and Keene in Southern New Hampshire. 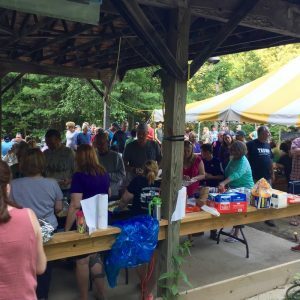 Browse our gallery of pictures. We are sure you will like what you see – and then give us a call! 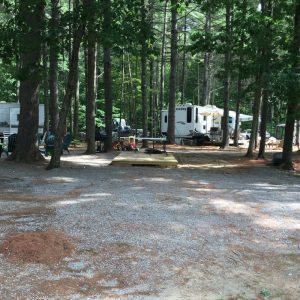 We had a wonderful time at this beautiful campground nestled in the woods. The owner/staff were so kind and friendly. … We really enjoyed our stay and will definitely come back if we ever find ourselves in the area. This is a wonderful campground. … We went on the free paddle boats on one of the three ponds. We had such a relaxing quiet weekend. We will definitely be back. 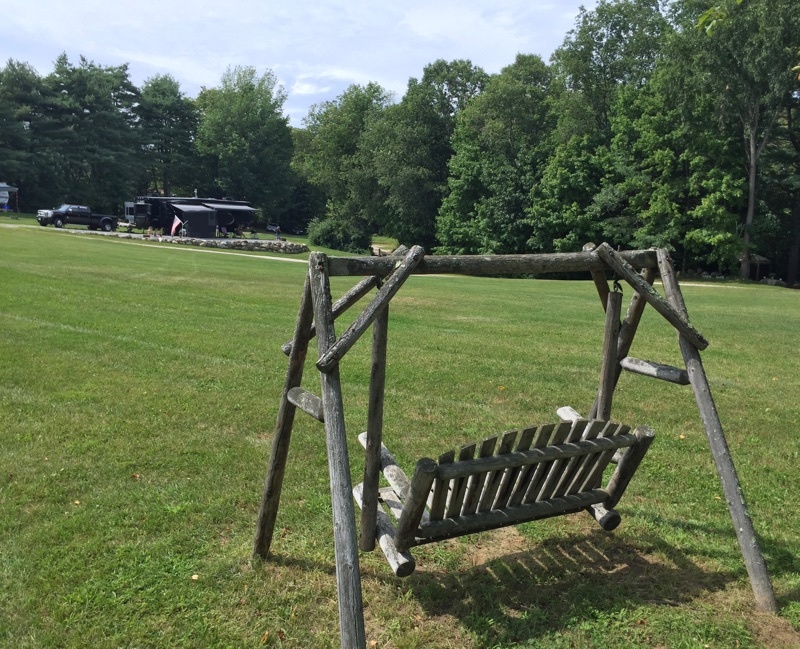 Very nice, clean, quite campground with plenty for the kids to do. The owner was fantastic, even insisting I take his car (we have a motor home that was all hooked up) to the store to get a couple things he didn’t have there. Will definitely be going back. Loved it. We came for just two nights but the kids had a blast, one of the better playgrounds for the kids I’ve seen. Everyone was so nice, we needed wood for the campfire and propane and Tom delivered it right to our site and they even pick up the trash and recycling, best place we’ve stayed so far, would definitely come back and give as a recommendation. One of the best campgrounds we have stayed at yet. The staff and owner are very helpful, accommodating, and kind.